Michael and Katie have known each other since they were in high school together in Massachusetts. They have been friends for over 10 years when Michael came home from Colorado College for the christmas holiday. They were at a party when they realized that they were both looking at each other in a different way. 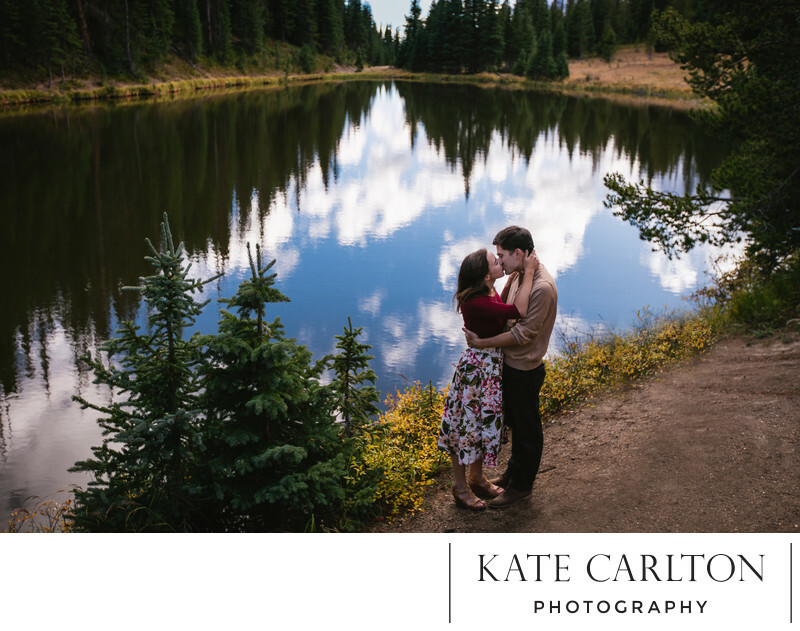 They quickly decided that they wanted to be together and fast forward a few long distance months to summer when Katie came out to Colorado and started working for the National Parks in Rocky Mountain National Park as a guide. Katie was based out of Grand Lake so we started their session there at Grand Pizza downtown Grand Lake. Then they changed and we drove into the park. We stopped at several locations along Trail Ridge Road. The first stop was Green Mountain Trail Head and then we went to Lake Irene. Finally we made it to the Alpine Visitor Center and Trail Ridge where this image was taken. These two were so much fun! We finished the day going back down the way we came and did some more hiking with another outfit change at Poudre Lake and Milner Pass. We did a few more stops before heading back out of the park. They invited me to stay with them in their camping cabin at the Elk Creek Campground in Grand Lake for the night so they finished off their session roasting marshmallows over a fire on the most beautiful crisp fall night. 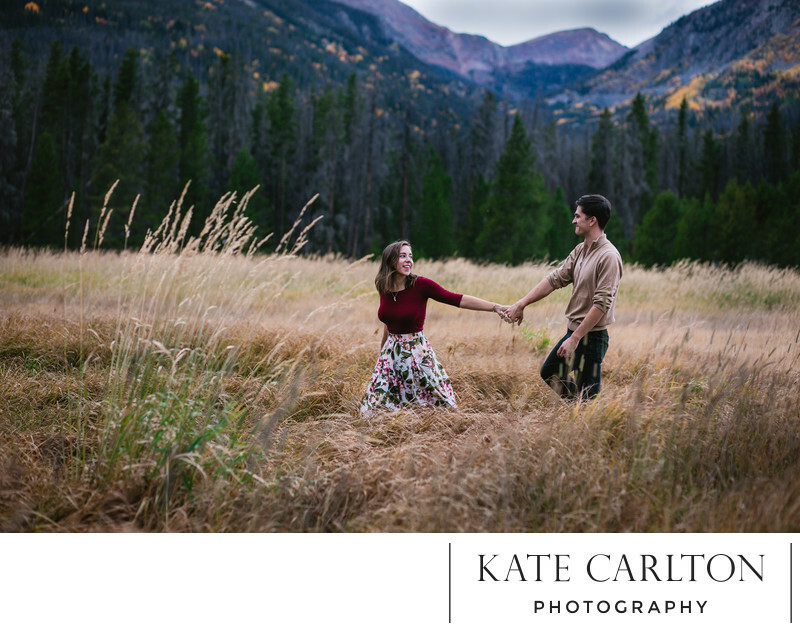 What an epic RMNP engagement couples session. 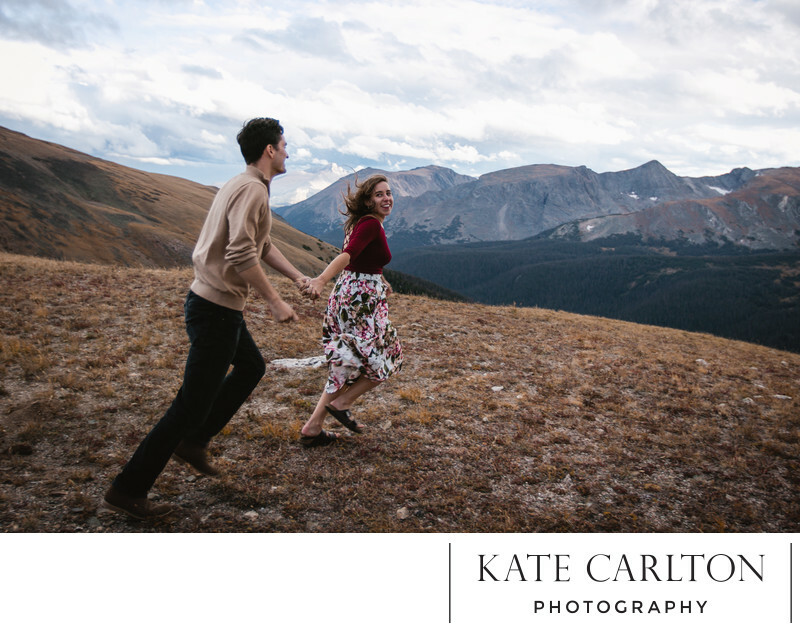 Location: Trail Ridge Rd, Grand Lake, CO 80447.